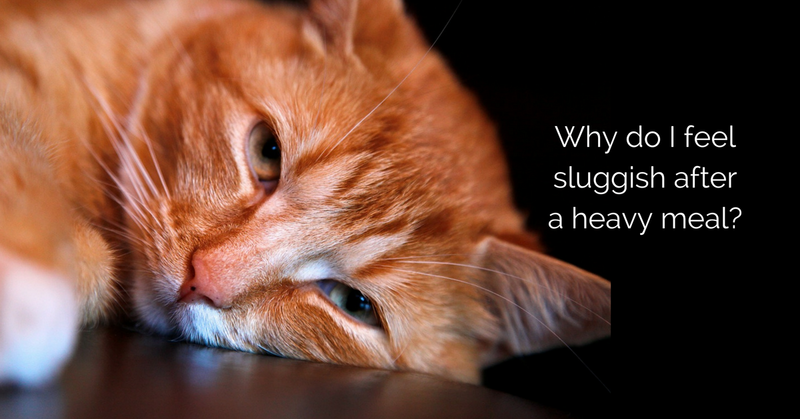 WHY DO YOU FEEL SLUGGISH AFTER A LARGE MEAL? I really eat big, I get tired; then I take a nap. What’s wrong with taking a nap? It’s absolutely fantastic & definitely fits the bill. But why do we feel like napping or feeling sluggish after eating a big meal? What triggers this so called ‘postprandial somnolence’? Is there something that our body wants to tell us? Well, there are a couple of things that you need to understand as to why a high-carb, high-fat and high-sugar foods trigger sleepiness. As the quantity of your food consumption goes up, the amount of insulin released as a normal part of the body’s digestion too increases. 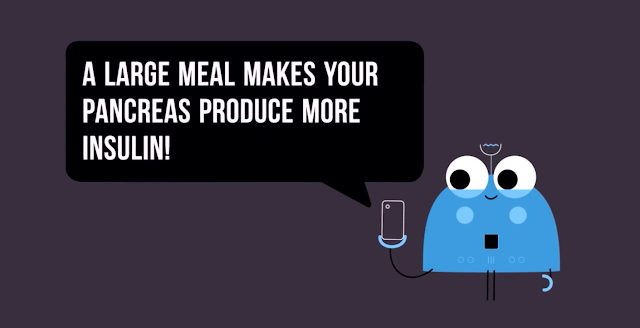 Which means your pancreas needs to produce more insulin. With increased secretion of insulin, your body produces a hormone called tryptophan which is a sleep hormone. 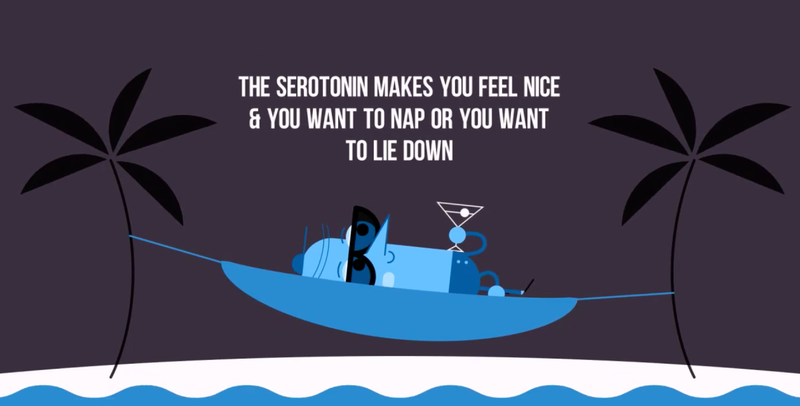 This travels to your brain where it gets metabolised to serotonin and melatonin; two hormones associated with drowsiness. And you just want to crawl straight into bed. This could be the worst thing to do because you don’t leave space for digestion and you have acidity and you have fat gain, especially in the abdominal region. The serotonin makes you feel nice and you want to nap or you want to lie down; that’s the melatonin and tryptophan working together. You can have an energy crash after you chow down a carb-rich meal like lot of rice. A carb-rich meal can send your blood sugar levels soaring, the insulin spikes, and then it crashes back down. This means you come to a stage where your blood sugar crashed down from being so high. All of a sudden, this drop makes you feel sleepy. 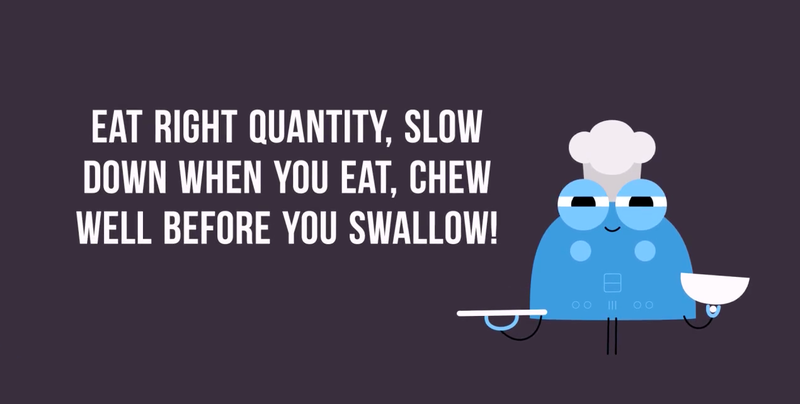 There are multiple reasons why it’s dangerous for you to overeat! When you overeat, your digestive system roughly takes about 70% of total body’s energy to digest food. Your body tries to muster energy from other parts of the body for digestion when those extra helpings go down to your stomach. End result - the rest of your body’s systems start to feel a slowdown. 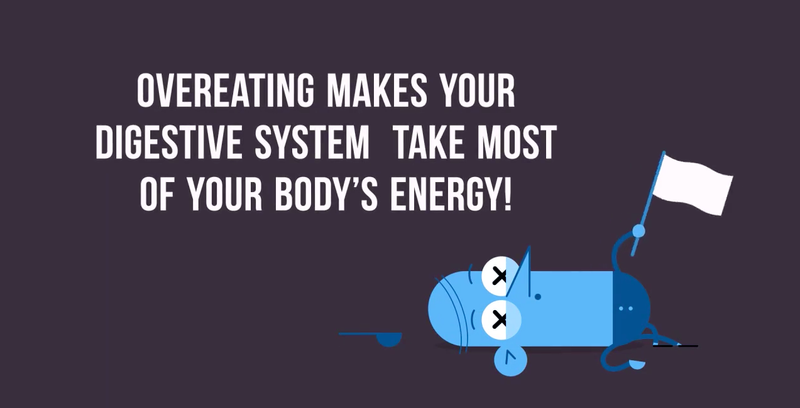 Which means you have less energy, you are tired and as a result you feel sleepy. It’s good once in a while to enjoy a big fat meal, but try not to make it as a habit. If you constantly eat more than what you should, you end up feeling tired and sleepy all the time. In other words, it’s your body’s way of telling you that you don’t need that much food. So, make sure you eat the right quantity & quality of food, slow down when you eat, and chew well before you swallow. This helps your blood sugar to not rise quickly and then crash down. Your body doesn’t have to expend that much energy for digestion. Remember, your body is constantly giving you biofeedback, all you need to do is one simple thing - LISTEN UP! Thanks Sumer! Glad you liked the post! Giaonhan247 chuyên dịch vụ mua hộ hàng mỹ tại sài gòn uy tín, giá rẻ cũng như dịch vụ mua hộ hàng mỹ uy tín và hướng dẫn cách tính phí ship hàng từ mỹ về việt nam giá rẻ, dịch vụ nhập hàng mỹ và dịch vụ nhận order hàng mỹ uy tín, giá rẻ nhất.